To request complete information about my collections, associates, and all available options, contact us today. Do you charge for travel within Canada? No Travel Fees within Canada!!!! because we have home bases here in Meaford, Ontario serving Northern venues. Home bases in Field, B.C. serving Lake Louise, Jasper, Banff, Canmore and Calgary. Home base in Halifax serving the East coast of Canada. We offer a combination of journalistic and fine art images and I can be completely journalistic or a mix of traditional poses, candids, and fine art images. Browse through our portfolio to view complete recent weddings, accolades, and personal favourites. Yes, I am completely qualified. I have an Art Diploma from BealArt with a major in photography, I graduated from Sheridan College with photography diploma and I take 2 workshops every year to better my skills and personal style and that also includes furthering my education with post processing. I started out in photography shooting families and children and that experience alone has led me to be the wedding photographer I am today. The one who can capture your parents holding hands while you say your vows, the one who gets the photographs of your grandmother shedding a tear during the ceremony and I'm also the one who gets the laughter between your best girlfriends or the sweet kiss you give your daughter. I capture all the "in between" moments as well as the "shot list"
Yes! We are a fully insured and a registered business. Do you have experience shooting in different lighting situations? Absolutely! Whatever lighting situation comes our way, we are prepared to handle it using the best equipment ready to handle natural low light and flash equipment to handle difficult lighting situations. All weddings are shot by Frances Morency as the primary photographer and image editor. Frances also brings an assistant to every wedding who will help with lighting, setups and general assistance carrying equipment and wrangling guests. My assistant photographer may second shoot during ceremonies and cocktail hour for guest captures and second point of view. We have compiled an amazing team over the years and trusts the associate photographers to capture your wedding day as if Frances was there herself. But, if I'm unavailable for your wedding day rest assured your images are in great hands while I do all the custom editing and business communications. I will also schedule and shoot your engagement sessions. What kind of equipment do you bring to a typical wedding? We shoot with Nikon Pro Gear. We have multiple camera bodies, multiple lenses, multiple flashes, and lots and lots of batteries, and memory cards. We come fully equipped and prepared to handle any situation that may arise – and have backup equipment for everything. Nikon D4, Nikon D850, Nikon D750. 35mm, 85mm, 24-70mm, 70-200mm and many more specialized lenses. Lots of flashes and video lights, and portable hard drives. Do you guarantee your presence at the actual wedding? Yes! When you hire Frances Morency Photography you get me as the primary photographer. In the rare instance that I should become sick or unable to shoot, I guarantee a replacement shooter with the same shooting style and qualifications to fill in. We belong to a network of Wedding Photographers across the GTA so a capable replacement shooter is a phone call away. But remember, you get 2 pros so you're always guaranteed to have 1 at your wedding if something happens to one of us. Yes! You will receive a link to a private, online gallery with print and gift ordering capability. No need to pass around proof books or small prints – just give your friends and family your password and they will be able to look at your photos in the comfort and convenience of their own homes. They can also order at their leisure and you don’t have to do a thing! Do you charge hourly or a full day? Our rates are based on half day, full day and per hour. So now you don't have to worry about paying for anything you don't want. Additional coverage can be added for $350/hour. 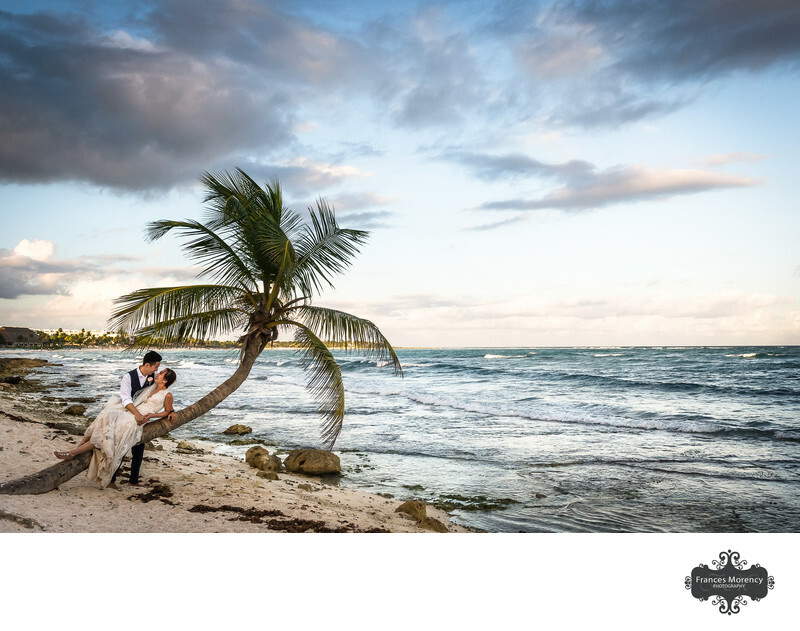 All destination weddings are quoted on a case by case basis with special consideration to our bucket list locations. How early should we book our wedding photography with you? To ensure the best chance of securing us for you wedding date, we suggest booking us at least 12-18 months in advance. Yes. We retain all copyrights to our images. We grant you an unlimited lifetime license with personal reproduction privileges. You may print, share, upload, and distribute your images to your friends and family. We’ve decided to book you! What’s the next step? To secure us for your Wedding Day, fill out our Wedding Photography Agreement and return it to us with a $1000.00 retainer fee. At that point we will officially be the photographers for your wedding!